Miao Yuan’s plan was more successful than imagined. Chen Mo didn’t even go for his overcoat and directly followed her back in uniform. “Won’t you be cold?” she asked, shivering inside her puffy down coat. “I’m fine.” The wind wasn’t much to him, and he had a sweater underneath. So fit! Miao Yuan marveled. When they arrived at the door, Chen Mo unwittingly recalled how, the first time he came over, he nearly lost his nose in a tragedy. Miao Yuan unlocked the door and they entered. The heater had been running for a while in her small, one-bedroom home. A fresh layer of lime plaster coated the walls, but it had been applied haphazardly, and old water stains peeped through the white paint, forming an abstract landscape. The floor was covered by a thick rubber mat, which separated heel from ground in a sinking softness. A chintz sofa and a luxurious wooden coffee table adorned the otherwise barren yet tidy room. Miao Yuan directed Chen Mo to take a seat on the sofa while she retrieved a petite, round cake from the fridge. Slim, upright ladyfingers ringed the edge, and the top was dusted with a generous layer of dark cocoa powder, which set the backdrop for the topmost pattern of powdered-sugar roses and leaves. Miao Yuan carefully walked over and placed the cake on the table. She hoped this signal was clear enough. If not, she would tell its story after the cake was finished. “Have you eaten yet?” she asked. Chen Mo shook his head. The cake’s smell was hard to make out, and he was only able to discern hints of cocoa. “You’re not going to blow candles?” he asked. Miao Yuan smirked. A play has multiple acts! She turned the lights off and a small flame flickered from the darkness, submerging the room into a dream. I don’t know if I can make my next birthday wish in advance: I like him. I want to be with him. The candle burned quickly, wax dripping down and staining the dark cocoa powder. Miao Yuan removed the candle and passed a spoon to Chen Mo. “Let’s eat together.” Sharing tiramisu carried a special meaning, so Miao Yuan didn’t want to slice it with a knife and instead wanted to share it with a spoon. 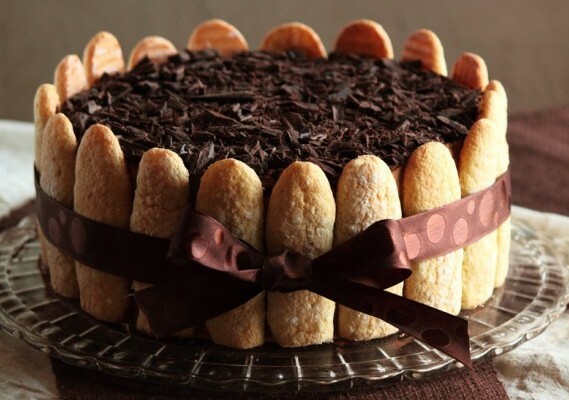 The shiny silver spoon cut through the fine cocoa powder, passed through the delicate mascarpone, and penetrated the coffee-liquor-soaked lady fingers. Various smells flooded the room—the alcoholic fragrance of liquor, the fresh aroma of coffee, the charred bitterness of cocoa, and the rich sweetness of mascarpone. Chen Mo took a bite. At first, the coffee liquor seemed a bit heavy. But soon, it was enveloped by the coffee’s aroma and the cream’s richness. The divine taste coated his tongue. “Is it good?” Miao Yuan bit her spoon, eyes expectant. “It’s delicious!” Chen Mo was momentarily entranced, and his eyes softened. Is this what my future holds? He thought of a future where she would make cakes for him, and then look at him with that expectant expression. That thought didn’t seem half bad. After all, his youth—that arduous yet splendid period—had already passed. Life is a mountain and we each have our own peak. Those peaks are like fireworks, which pierce the night in a brilliant dazzle. We sweat, we give, we cry. But those times will come to pass and we will have to learn to readjust to the longer, more placid days of ordinary life. “How?” Chen Mo softly asked. How did all these wonderful things come to be? Miao Yuan lit up, thinking he asked how she made the cake. With an almost prideful tone, she explained how she stirred the marscapone, added in the yolks one by one, and brushed the ladyfingers with coffee liquor, rather than dunking them in it. It was a monotonous, tedious task requiring considerable care and patience, and she believed it could only be done with a heart of love. Hearing her talk so passionately made Chen Mo recall his favourite pastime. He liked to disassemble his JS 7.62mm, QBU-88, and QSZ-92 guns onto a large piece of felt, and then meticulously polish every part piece by piece before reassembling them with his eyes closed. During the process, he felt serene and joyfully content, as though becoming whole. When he had left the team, he asked if he could take the guns. He wanted nothing else. Chen Mo then thought of his captain. He thought he couldn’t compare with Xia Minglang. His captain could manifest his abilities with any gun. On the other hand, Chen Mo could only shoot accurately with his own. His captain told him he was single-minded because he lacked emotion. Chen Mo then wondered, What about Xia Minglang? He shook his head, dispelling those memories. She blushed and stuffed herself with a spoonful of cake. Her youthful, vibrant face was tinted by veins of flowing red. Sans lipstick, her lips were a pretty pink, enticing one to touch them and confirm whether they really were as sweet and soft as imagined. Chen Mo suddenly felt his heartbeat quicken. Objects started blurring on the edges and his blood rushed. He bowed his head somewhat awkwardly and tried to concentrate on the food. I know what’s proper to do. But how do I start? What if she rejects me? How do I respond to that? Chen Mo’s heart was in a tumultuous state. Engrossed in eating, he devoured the cake in an almost vigorous manner. Miao Yuan didn’t know whether to laugh or cry. While she was proud that her craft undoubtedly advanced, she was also sad that he was so slow and unromantic. 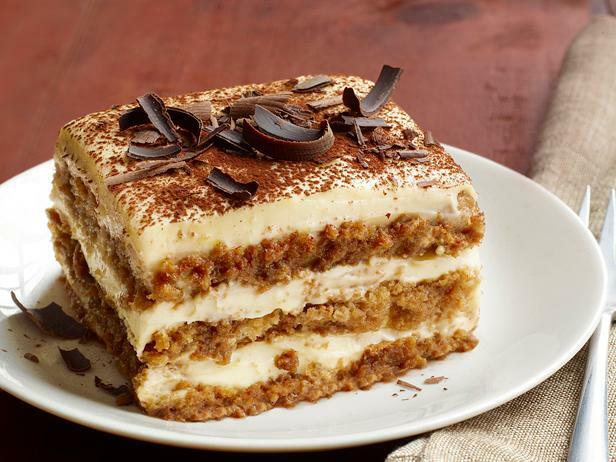 Tiramisu! Tiramisu! At last, do you want to take me away with you? “Wait a second!” Chen Mo interrupted. “You… Did you put alcohol in this? “Oh, I did, I did put…” Miao Yuan was vexed. You interrupted me at the critical moment! Did you do that on purpose? “A third of a cup.” Miao Yuan didn’t know what was going on. “Y-you, how are you now?” Miao Yuan circled to Chen Mo’s side. This is inconceivable, thought Chen Mo. He became drunk without noticing. Could it really be like what Zheng Kai said? That being in a place too long deteriorates the senses? Or perhaps it’s because I don’t have my guards up around her and don’t take precautions with the food she gives me. Miao Yuan was a bundle of nerves as she brought Chen Mo to the bedroom. She moved the blankets to let him lie down. Under the lamp and at a close distance, she could see his unfocused gaze. In her wildest dreams, she never thought that such a bizarre failure could occur. She sat on the edge of the bed, speechless. Miao Yuan was exasperated. Soon? But I’ve never seen a drunk person recover quickly! The alcohol swiftly took effect. Chen Mo’s face gradually flushed and his brows furrowed. He didn’t seem well. This was testing her willpower. If I stay any longer, I’ll be doing something I know I shouldn’t… Forget it. I’ll go out and cool down a bit. She tidied up the living room and washed the glass plates thrice. After wiggling her numb fingers, she felt calm enough to go back. She went to the bathroom and ran a towel under hot water before wringing it. When she returned to the bedroom, the lights had been dimmed and dust motes fluttered in the dry air. On the bed, Chen Mo slept peacefully. Miao Yuan’s heart nearly skipped a beat. Why do you always appear before me in the most unbelievable ways and let me believe that I can have you? Miao Yuan extended a finger towards Chen Mo’s eyebrows and continued moving it downwards until it rested on his lips. Hahaha.. poor Miao Yuan.. got cockblocked just when it gets good..
I&apos;m guessing D would happen!! Thanks for the chapter! Oh my, Chen Mo, you are such a delicate little flower. B) Wake up because of her actions. Then when she&apos;s startled and about to run away, you grab her wrist and say, "Miao Yuan, I like you. Will you be my girlfriend?" C) Wake up because of her actions, but continue pretending to be asleep because gosh this is so awkward. But that doesn&apos;t work so well since you&apos;re blushing bright pink and Miao Yuan now knows you&apos;re awake. D) Feign sleep and pretend to sleep talk, mumbling "Miao Yuan... I...lo-" But then you stop there, leaving Miao Yuan thinking "You what??" 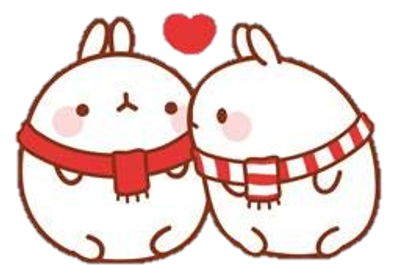 And as she leans closer to hear more clearly, you drag her into a hug and say, "Miao Yuan, I love you!"